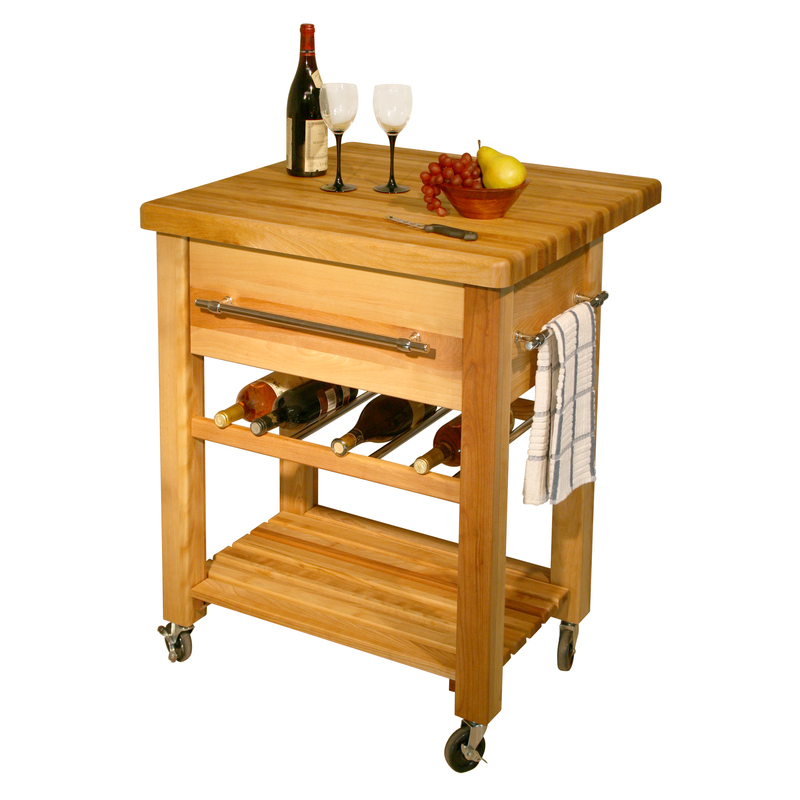 Great for the modern kitchen, this butcher block wine cart delivers on both beauty and function. 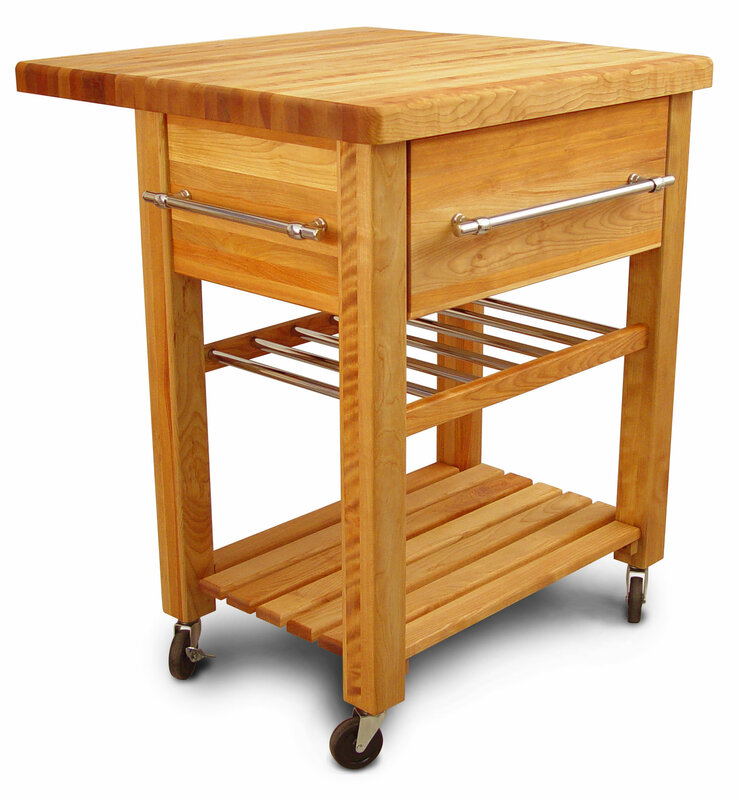 A 6-bottle wine rack and a slatted bottom shelf are just a couple of the features that distinguish this quality, kitchen work station made by Catskill Craftsmen. It measures 29” wide, 19” deep (leaf down) and 35” high. The hardwood block top, 1.-3/4”-thick, makes a perfect cutting surface, no matter the food prep task that’s before you. 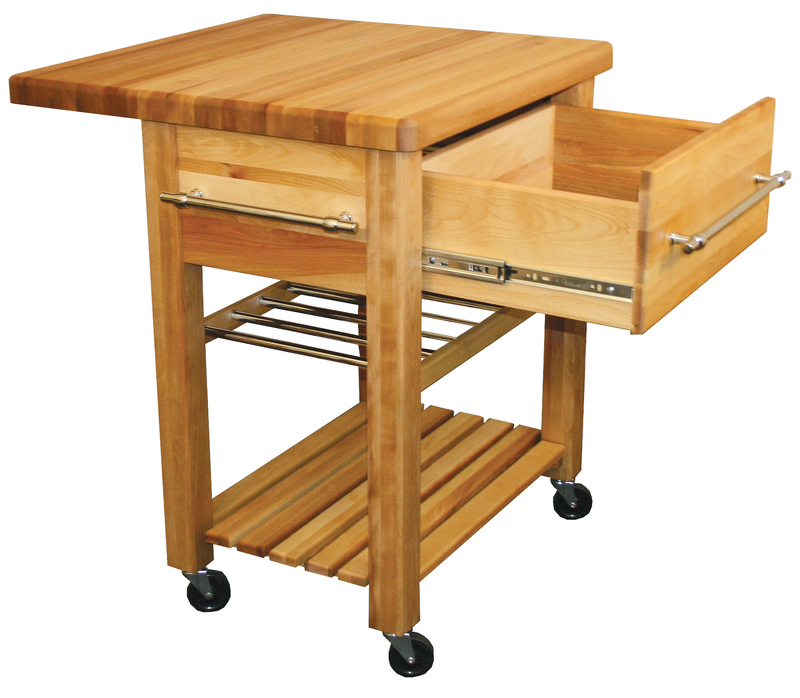 Raise the drop leaf extension at the back of the cart to expand your work space to just under six square feet. It’s finished with Catskill’s Original Butcher Block Oil. This special formula moisturizes butcher block to help prevent it from drying and cracking. 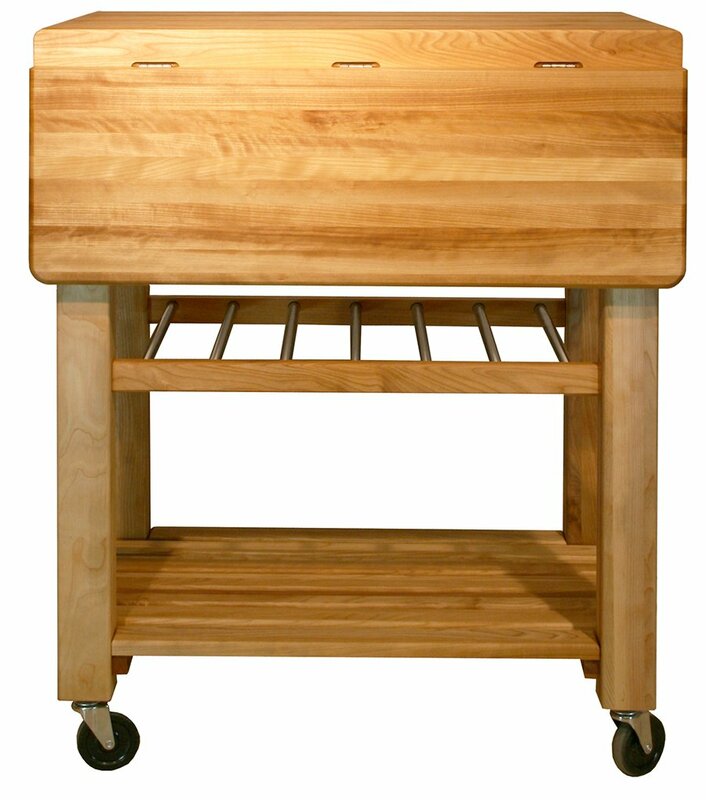 Beneath the cart’s butcher block top is a spacious storage drawer that rides on full-extension glides, providing you access to every nook and cranny of this huge storage space. The handle of this sizeable drawer also serves as a convenient towel bar. Store wine bottles between the seven wooden slats that comprise the wine rack positioned below the cart’s drawer. 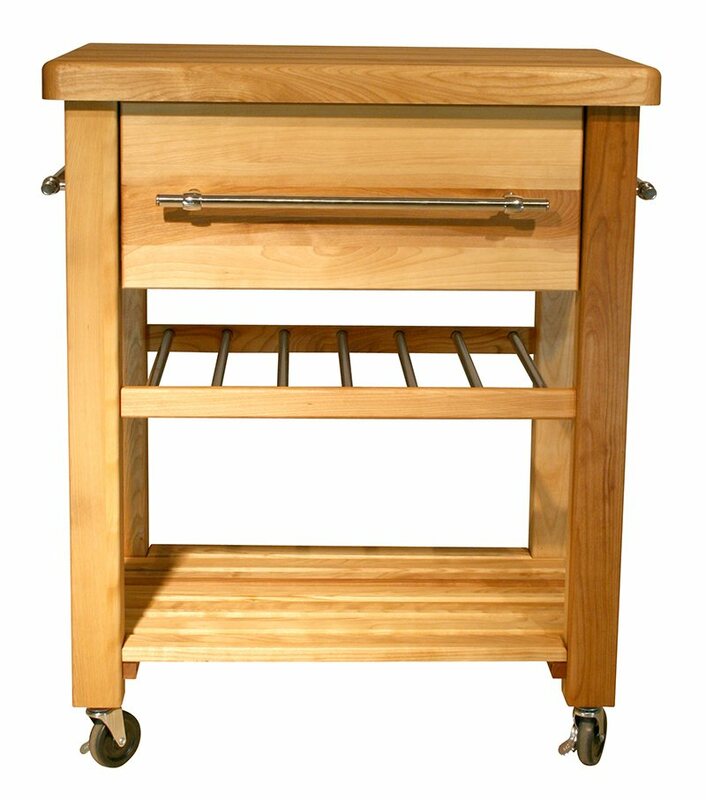 There’s plenty of clearance between this sloped wine rack and the cart’s slatted bottom shelf, which is a great place to stow kitchen tools and appliances, or to display keepsakes or accent pieces.